A staple of the traditional Chinese medicine, magnolia bark has been used for centuries to treat depression, boost brain health, lower blood pressure, and even relieve menopause symptoms. Which is what makes it worthy to be talked about. In this post, we’ll discuss the several important benefits of magnolia bark – just stay tuned! What Are The Side Effects Of Magnolia Bark? Studies show that the antimicrobial properties that the bark contains can fight dental plaque. In the research, chewing gums containing magnolia bark, when assessed, were found to reduce dental plaque (1). And these very antimicrobial properties also help one fight bad breath. Magnolia can also fight cavities, as per studies (2). Another Italian study particularly speaks of how magnolia extract can reduce the volatile sulfur-containing compounds in the oral cavity and improve overall teeth health (3). 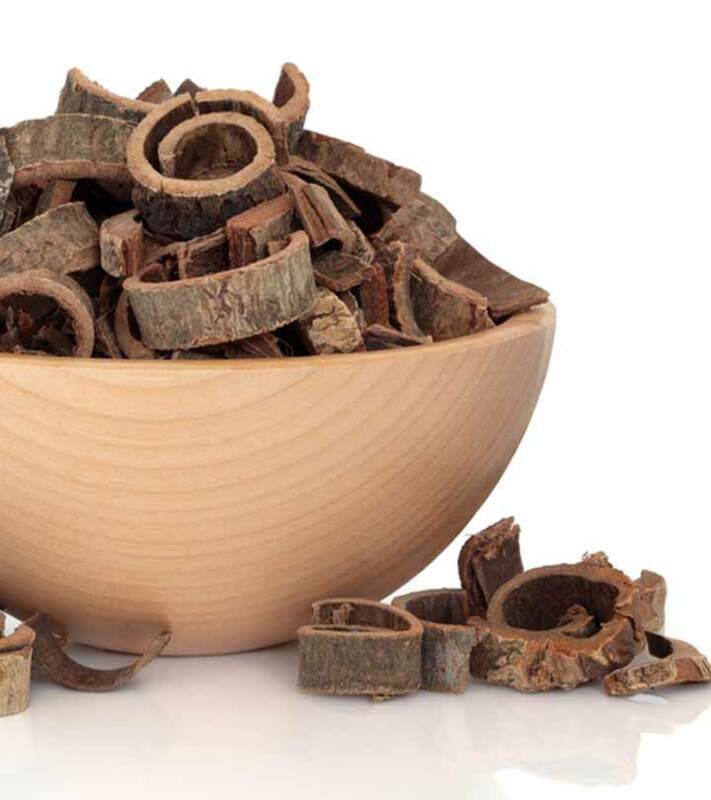 Honokiol, one compound in the magnolia bark, was found to relax the aortas and lower blood pressure (4). Though we need more research on this, this sure is a step in the right direction. Magnolia bark extract, when administered to cells, had reduced the amount of pro-inflammatory cytokines – compounds that lead to inflammation (5). The bark can also reduce the pain that is caused by inflammation. Two compounds in magnolia bark, honokiol and magnolol, were found to reduce the pain that was a result of bodily inflammation (6). Comparative studies between magnolia bark and soy isoflavones in treating menopausal symptoms offered interesting results – the bark was able to treat anxiety, which is one of the symptoms in menopausal women (7). In fact, adding the bark extract to isoflavones further improved the symptoms – the combination could effectively combat insomnia, irritability, depressed mood, and even loss of libido (common symptoms during menopause) (8). Some of the major bioactive compounds in magnolia bark were found to contribute to glycemic control – and this is a boon for diabetics (9). 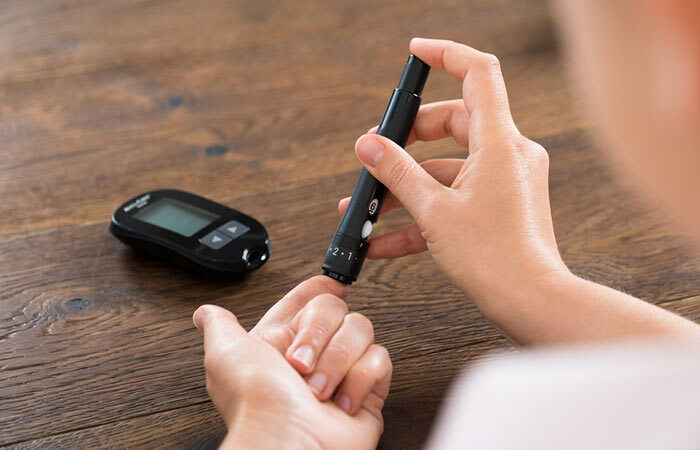 These compounds, upon further research, were also found to possess hypoglycemic bioactivity – meaning they have the ability to lower blood sugar levels. Magnolia bark is also effective against oxidative damage of the liver, which can happen in severe cases of diabetes (10). The honokiol in magnolia bark can fight cancer in a number of ways. In fact, in one animal study, the combination of radiation and honokiol caused a greater reduction in tumor volumes as opposed to using radiation alone (11). Honokiol was also found to block a specific cancer pathway that was previously thought to be resistant to drugs (12). In yet another study, honokiol was found to prevent breast cancer – which could otherwise be caused by leptin, one hormone closely associated with obesity (13). A mixture of honokiol and magnolol (the two compounds in magnolia bark) was found to offer antidepressant benefits, according to studies (14). These two compounds also increase the serotonin levels in the prefrontal cortex, the low levels of which are linked to depression (15). Honokiol and magnolol are also linked to elevated levels of noradrenaline, which is associated with improved alertness and concentration, along with enhanced emotions. Further research also shows us how magnolia bark can reduce memory loss and help in the treatment of Alzheimer’s (16). By lowering cortisol levels, magnolia bark relaxes the body and the mind. Taking this herb right before you go to bed can help combat sleeplessness as it promotes rapid drowsiness. Ensure you don’t take it during the day or while driving or operating heavy machinery – for obvious reasons. Research also shows us that the honokiol in magnolia bark promotes non-rapid eye movement, thereby treating insomnia and helping the body and mind relax and drift to sleep (17). Some research shows how magnolia bark could reduce body fat mass in mice. And the honokiol in the bark had decreased insulin resistance, thereby preventing fat storage (18). Well, these are the benefits. We know you already are thinking of including this bark in your diet. But how? The bark (or the extract) is quite soluble in water. Hence, you can mix it in a glass of plain water or juice. You can also add the extract to your breakfast smoothie. Other ingredients in the smoothie can help mask the bark’s taste in case it doesn’t appeal to you. The dosage of the extract should be between 250 to 500 mg per day. Great. But does this mean anybody can take the extract? Maybe not. There are certain things to be kept in mind. Some research suggests that taking magnolia during pregnancy can cause uterus contractions and lead to miscarriage. Not enough is known about its effects on breastfeeding. Hence, stay safe and avoid use in both the cases. Magnolia can slow down the nervous system due to its relaxing properties. This might be a problem during surgery as the anesthesia application may not be as effective. Stop use at least two weeks before a scheduled surgery. 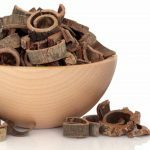 Being an essential ingredient of the traditional Chinese medicine, magnolia bark has a lot to offer – you just learned its benefits. So, why don’t you include it in your routine right away? And tell us how this post has helped you. Leave a comment in the box below. “Dental plaque regrowth studies to…”. ScienceDirect. “Sweet magnolia: tree bark...”. ScienceDaily. “The effect of zinc acetate and…”. US National Library of Medicine. “Effects of chronic treatment with…”. US National Library of Medicine. “Identification of magnolia extract…”. US National Library of Medicine. “Effects of honokiol and magnolol…”. US National Library of Medicine. “Magnolia bark for anxiety...”. Dr. Weil. “Biological activity and toxicity of the…”. US National Library of Medicine. “Extracts of magnolia species…”. US National Library of Medicine. “The antidiabetic and hepatoprotective…”. US National Library of Medicine. “Honokiol: a novel natural agent...”. US National Library of Medicine. “Magnolia compound hits elusive…”. ScienceDaily. 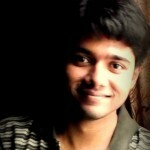 “Can magnolia help break the link…”. Johns Hopkins University. “Anti-depressant like effects of the...”. US National Library of Medicine. “Anti-depressant like synergism of…”. US National Library of Medicine. “A comparison between extract products of...”. US National Library of Medicine. “Honokiol promotes non-rapid eye movement…”. US National Library of Medicine. “The magnolia bioactive constituent…”. US National Library of Medicine.